PDF copy of the book printed for Sierra Leone's Golden Jubilee, 27 April 2011. PDF copy. By Ade Daramy for Sierra Leone's 55th independence anniversary, 27 April 2016. Historic photos of Sierra Leone from the United Nations Photo Library. By Ade Daramy. By Tristan Reed and James A. Robinson, 2013. Gives the history of Sierra Leone's chiefdoms and their ruling houses. The original link is to Harvard University Department of Economics. Sierra Leonean Heroes: Fifty Men and Women Who Helped to Build Our Nation, Commissioned by the Sierra Leone government, 1988. Written by Seán Farren, and published in 2011 by the Sierra Leone Irish Partnership. By F. Harrison Rankin, 1936. Scanned by Google. By J.A. Hobson, 1902. Examines the Hut Tax and resulting conflict. Scanned by Google. By Edmund D. Morel, E.D.M., 1902. Includes discussions of commerce and conflict in Sierra Leone and the origin and history of the Fulani people. Scanned by Google. By Thomas Eyre Poole, 1850. Scanned by Google. By James Boyle, M.C.S.L., 1831. Scanned by Google. By William Latimer Neville, 1858. Scanned by Google. By Hannah Kilham, 1832. Scanned by Google. By William Whitaker Shreeve, 1817. Scanned by Google. Postscript to the Reply "Point by Point"
By Robert Thorpe, 1815. Scanned by Google. Travels in Madeira, Sierra Leone, Teneriffe, St. Jago, Prices Island, etc. etc. By James Holman, R.N., F.R.S., 1840. Scanned by Google. Published in 1825. By Major Alexander Gordon Laing. An Account of the Native Africans in the Neighbourhood of Sierra Leone; to which is added, an account of the present state of medicine among them. Thomas Winterbottom M.D., Physician to the Colony of Sierra Leone, 1803. Scanned by Google. By Mary Church. Published in 1835. By Edward McMurdo, 1889. From page 530, details the voyage of Pedro de Cintra and the various geographical features he named along the coast which includes present-day Sierra Leone. Scanned by Google. By Elizabeth Melville, edited by Hon. Mrs. Norton, 1849. Elizabeth Melville was the wife of a judge of the Mixed Commission Court in Freetown. By the Right Rev. Ernest Graham Ingraham, D.D. 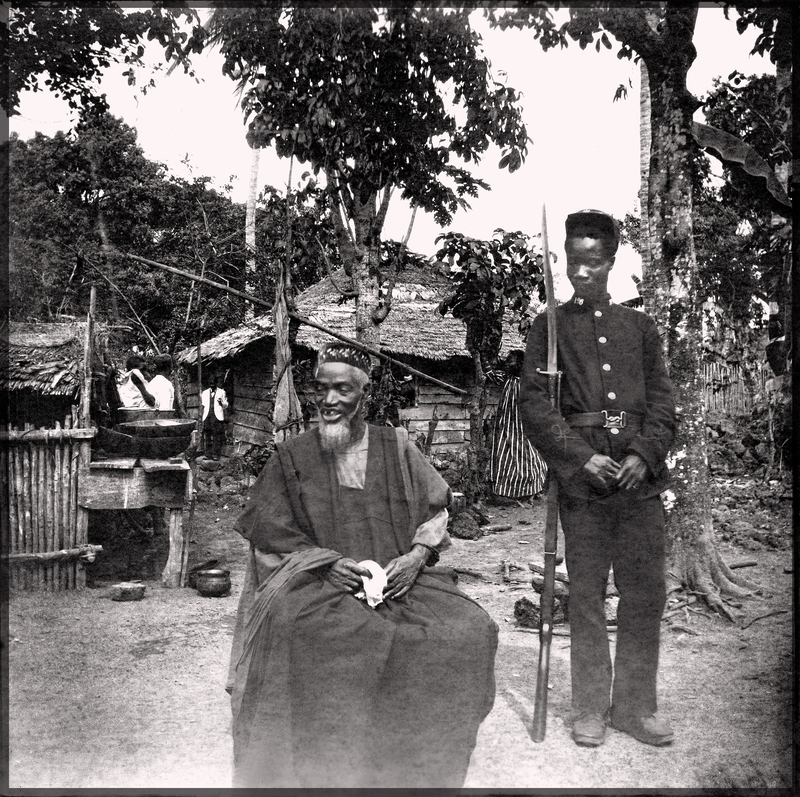 Bishop of Sierra Leone, 1894. Scanned by Google. Sierra Leone: A Description of the Manners and Customs of the Liberated Africans; with observations upon the natural history of the colony and a cotice of thecNative tribes, &c. &c.
By Robert Clarke, M.R.C.S., 1843. Scanned by Google. A Letter to William Wilberforce, Esq., M.P., Vice President of the African Institution, &c. &c. &c. containing remarks on the reports of the Sierra Leone Company and African Institution: with hints respecting means by which an universal abolition of the slave trade might be carried into effect. Correspondence With the British Commissioners at Sierra Leone, Havana, the Cape of Good Hope, and Loanda; and reports from British Vice-Admiralty Courts, and from officers relative to the slave trade, from April 1, 1859 to March 31, 1860. Presented to both Houses of Parliament by Command of Her Majesty, 1860. Scanned by Google. British House of Commons, Sessions 1813-1814. Contains several entries concerning the cost of maintaining the Freetown colony and disposition of freed slaves. Scanned by Google. By James Stephen Esq. ; By Kenneth Macaulay, 1826. Scanned by Google. By his granddaughter, Viscountess Knutsford, 1900. Macaulay was twice Governor of Sierra Leone between 1794 and 1799. Scanned by Google. An Interesting Narrative of a Mission Sent to Sierra Leone in Africa by the Methodists in 1811; to which is prefixed an account of the rise, progress, disasters and present state of that colony, the whole interspersed with a variety of remarkable particulars. By Thomas Coke, LL.D., General Superintendent of the Missions, 1812. Scanned by Google. By Sir Edward Hertslet, C.B., 1880. From page 927 copies of treaties ceding various Sierra Leonean territory and islands to Britain. Scanned by Google. 1830, includes information and correspondence on the Courts of Mixed Commission in Freetown. Scanned by Google. By Sir Harry H. Johnston, K.C.B., 1899. Includes initial contacts by Carthage, Portugal and Britain. Scanned by Google. By Charles Raymond Beazley, 1894. Scanned by Google. By W. Schaus, F.Z.S. and W.G. Clements, Surgeon-Caption A.M.S., 1893. Scanned by Google. By James McQueen, 1825. Scanned by Google. Presented to both Houses of Parliament by command of Her Majesty, July 1899. Scanned by Google. Published in 1899. Recounts the story of Bai Bureh on p. 15-16 and mentions Sierra Leone on p. 260. Scanned by Google. By S. W. Koelle, Church Missionary, 1854. Includes notes on the history of the Vai people. Scanned by Google. By A.H. Keane, F.R.G.S., 1895. Lists peoples of Sierra Leone from page 334. Scanned by Google. By The Rev. J.S. Mills, D.D., Bishop of the United Brethren in Christ, 1898. Scanned by Google. Presented to Both Houses of Parliament by Command of Her Majesty, 1875. P. 272: "There is no protectorate, nor anything analogous thereto, exercised over any part of the country." Scanned by Google. By The Rev. C.F. Schlenker, 1861. Scanned by Google. Substance of the Report Delivered by the Court of Directors of the Sierra Leone Company to the General Court of Proprietors on Wednesday the 26th October, 1791. By Court of Directors, Sierra Leone Company, 1791. Scanned by Google. By Tobias George Smollett, 1788. Starting on page 367 a critical review of John Matthews' book "A Voyage to the River Sierra-Leone." Scanned by Google. By Court of Directors, Sierra Leone Company, 1794. Scanned by Google. Published in 1794. By Anna Falconbridge. Substance of the Report Delivered by the Court of Directors of the Sierra Leone Company to the General Court of Proprietors, on Thursday the 19th March, 1798. By the Court of Directors, Sierra Leone Company, 1798. Scanned by Google. Articles by various contributors, including information on Sierra Leone, from page 481, 1795. Scanned by Google. House of Commons, from page 316, 1791. Scanned by Google. By Ralph Griffiths. Article on Sierra Leone starts on page 238, 1788. Scanned by Google. Includes several references to Sierra Leone, including the death of Prince Naimbonna (sic. ), 1794. Scanned by Google. By C.B. Wadstrom, 1794. Scanned by Google. By Granville Sharp, 1788. Scanned by Google. By Lady Judith Cohen Montefiore, 1794. Scanned by Google. The Debate on a Motion for the Abolition of the Slave Trade, &c.
British Parliament, House of Commons, 1792. Scanned by Google. By John Walker, 1798. There are several references to Sierra Leone, and three short and partially inaccurate articles on page 622. Scanned by Google. Published in 1788. Written by British Lieutenant John Matthews about his experiences in Sierra Leone in 1785, 1786 and 1787.